Having hidden her MS for a number of years, Lisa Murray-Lang decided to put pen to paper and write a book about her life with the condition as a way of letting others know. This is Lisa’s inspiring story. I was very much in denial at first and I just kept everything bottled up inside. I didn’t want to be defined by those two letters, so my way of coping with it was to take on as many challenges I could, with the attitude, ‘While I can, I will’. But as the disease progressed, I was finding my foot wasn’t picking up like it used to and I was falling over a lot, so the challenges had to change. But whenever it gets me down, I just remind myself that it could be much, much worse. I know I am one of the lucky ones. After all my health worries, I was dealt another blow when I was made redundant from my job as a designer at Cadbury’s after 13 years working there. But actually this turned out to be a blessing in disguise. It made me revaluate my life and do something that I really loved; so I set up my own dog walking and pet sitting business. Animals have been my saving grace. They don’t look at you funny, or say ‘Why are you limping?’. They just accept everything. Changing career was also the push I needed to open up about my condition – and I decided to do so in a book! How do you drop a bombshell like that in the middle of a conversation?! 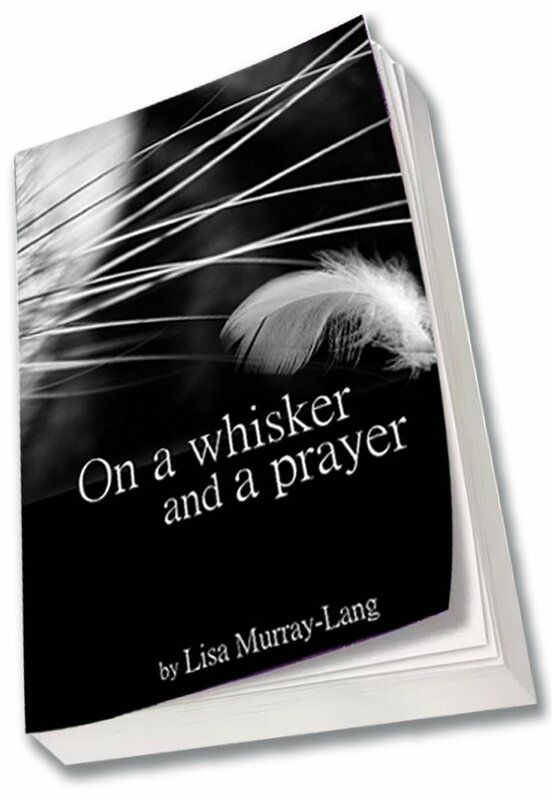 The book, which is called On a Whisker and a Prayer, is basically my memoir, touching on the ups and downs, laughter and tears of life with MS. I didn’t want it to be depressing or frightening – I wanted to keep it light-hearted, and I’ve included a Purple Ronnie-style comic strip as a way of explaining MS to my friends and colleagues. I wrote and designed the book, it’s 100% me and I found the whole process very therapeutic. I kept my MS bottled up for so long, so it was a relief to write everything down, get it out in the open and tackle it head-on. I hope the book inspires people. I want it to show that once you’re diagnosed, that’s not it, so don’t let people write you off. My advice for other people who have been diagnosed with MS is not to turn to Dr Google. Take it one day at a time, and remember that everybody is different: there is no text book case or set path to follow. The European Medicines Agency has recommended a temporary restriction on people who should start treatment with Lemtrada while a review of side effects is carried out. Nick is taking part in the Great North Run for the third time in September and this year his daughter Amie will be joining him on Team MS Trust for her first half marathon. Here, Nick and Amie tell us about the inspiration behind their fundraising. Get the latest news and research sent straight to your inbox. Find out first about the latest developments in MS treatments, plus updates on the work of the MS Trust. Do disease modifying drugs affect life expectancy? How do families affected by MS manage health information?